The library was founded in 2007 by Peace Corps volunteer Bertie Lee Murphy. Beginning with a few boxes of donated books and in lieu of physical room to call a library, Miss Bertie began a “mobile” library system. With an armload full of books, she’d visit each primary school class once a week, give out library cards, and display the books at the front of the room. Each student would choose a book, fill out a library card, and then keep the book for a week until her next visit. It was a workable, but clumsy, system. Eventually, the old preschool classroom in Hopkins became the library building. Its shelves began to fill with books! After the passing of Miss Bertie in 2008, the library closed for awhile but re-opened in October 2011, and has remained open and flourishing consistently since then with the communities involvement and now houses over 13,000 books! 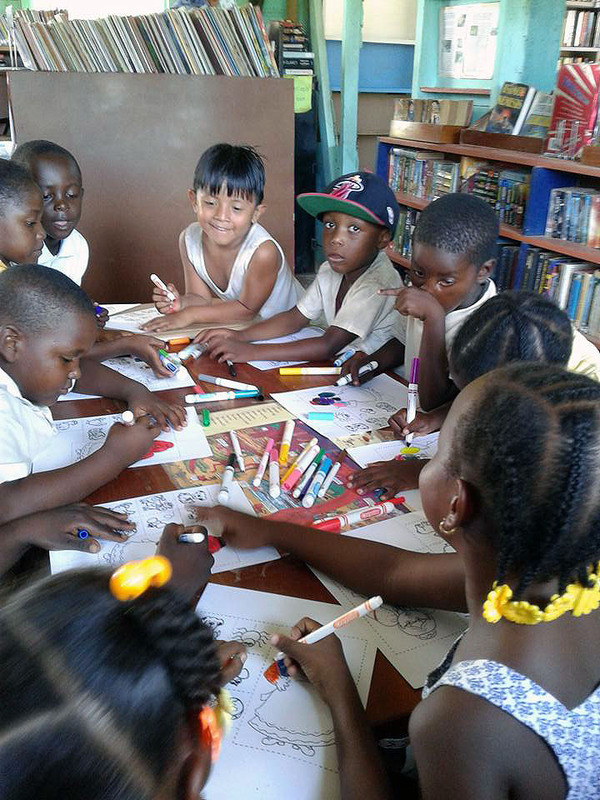 That same year, Miss Bertie’s Hopkins Community Library became part of the Belize National Library Service, that provides funding for one part-time librarian. Today, Miss Bertie’s Hopkins Community Library uses donated books to replenish their shelves as books wear out and need replacement. Of course, it’s always exciting to get new books that the children haven’t read before. Donated books are also distributed to other smaller libraries that are just starting or trying to grow. They really need the help and really appreciate it. The library also focuses on helping the libraries in the Stann Creek district - those closest to Hopkins. 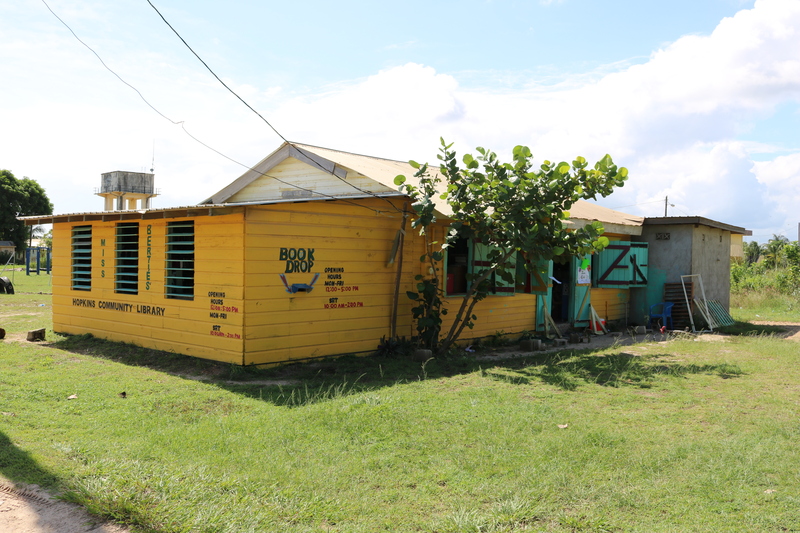 A community library is starting in Maya Center and a school in Sittee River has started a "shelf of books," which hopes to one day grow to a school library. Books, printer ink, building repairs, additional ceiling fans and landscaping. © Copyright 2018 - Books For Belize - All Rights Reserved.